Both the Erie and the Delaware, Lackawanna & Western pretty much avoided most of Corning, New York, hugging the base of the hills to the east and only running through a small part of the north end of town. Here, near the community of Gibson on the east side of Corning both roads ran along the narrow ledge between the hillside and the Chemung River (out of sight at the left). 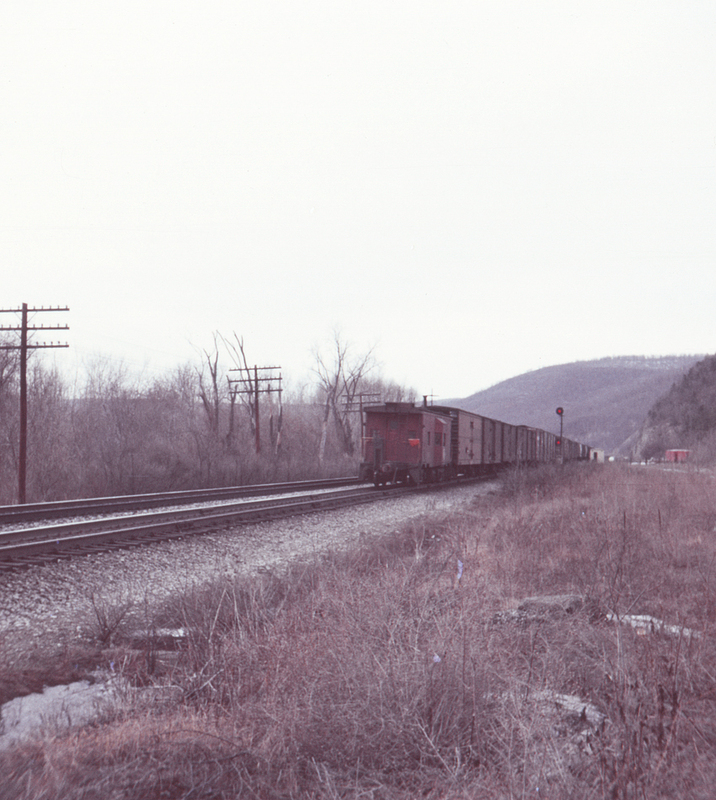 By 1970 the weedgrown right of way at right was all that remained of the Lackawanna at this location. Note the unique searchlight signal with the widely separated targets; this was an Erie trademark for absolute (interlocking) signals.